Michael Kopech limited the P-Nats to only one hit and the offense provided more than enough support as the Salem Red Sox rolled to a 9-1 victory. The Salem Red Sox sent 10 batters to the plate and scored six runs in the top of the fourth inning to seize control and run past the Winston-Salem Dash 12-1. The Salem Red Sox continued their recent streak of great play by sweeping a doubleheader with the Winston-Salem Dash Saturday night. 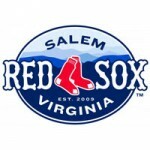 The Salem Red Sox finished off a perfect seven-game homestand with a 3-1 victory over the Carolina Mudcats Thursday night. Daniel McGrath and Jamie Callahan combined to limit the Carolina Mudcats to one-hit Wednesday night, as the Salem Red Sox rolled to a 5-1 triumph. The Salem Red Sox mounted a ferocious rally in the bottom of the ninth inning to tie, and walked off on the Carolina Mudcats in 11 innings to win 7-6. 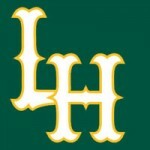 The Lynchburg Hillcats swept a pair of games with the Carolina Mudcats Thursday night. The Salem Red Sox were swept in a series for the first time this season as they fell to the Carolina Mudcats, 5-2 Thursday night at Five County Stadium. The Salem Red Sox were swept by the Carolina Mudcats in a doubleheader Wednesday at Five County Stadium. The Carolina Mudcats defeated the Salem Red Sox 5-1 in the first game of a doubleheader at Five County Stadium Wednesday night. The Carolina Mudcats rallied for six runs in the bottom of the sixth inning to defeat the Salem Red Sox 9-6 at Five County Stadium Monday night. Taylor Murphy and Anthony Santander each had two-out RBIs to give Lynchburg a 2-0 lead early in what became a 2-1 Hillcats win. After witnessing a pre-game fireworks show as part of a three-hour rain delay, Lynchburg wasted no time jumping on Carolina. Tyler Krieger hit his first home run as a Hillcat, and Luis Lugo tossed 6 2/3 shutout innings to help Lynchburg close out June with a convincing 9-1 victory. Lynchburg swept Carolina in a doubleheader Tuesday night at Calvin Falwell Field. After Lynchburg clinched the first-half division title Sunday afternoon, they ran into a huge offensive performance by the Carolina Mudcats Monday. The Potomac Nationals scored in the first inning but lost a lead in the second and did not lead again in a 5-4 loss to Carolina. 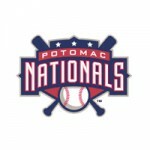 The Potomac Nationals (21-16 Overall, 8-8 Home) jumped out to an early 1-0 lead in both halves of Wednesday night’s doubleheader. Mike Papi and Anthony Santander each homered, but Carolina tied the game in the ninth to force Lynchburg to win in extras. Carolina used an infield hit and two bloop singles to score the decisive run in the ninth inning and knock off Lynchburg, 4-3. For the third straight day, the Potomac Nationals (17-14) and Carolina Mudcats (14-18) went to 10 innings. The Potomac Nationals saw C Joseph Odom of the Carolina Mudcats drive home CF Keith Curcio with a single and send the game to extra innings. The Carolina Mudcats ended things just two batters into the bottom of the 10th in the series opener, a 4-3 walk-off loss for the P-Nats. The Salem Red Sox overcame an early deficit to defeat the Lynchburg Hillcats, 4-3. Luis Lugo earned his second win on the season as the Lynchburg Hillcats defeated the Carolina Mudcats 10-3 on Mother’s Day. Lynchburg split a twin bill against Carolina Saturday at City Stadium. Lynchburg dropped the first contest but bounced back in the nightcap. The Salem Red Sox never trailed Wednesday night as they pounded out 13 hits against the Carolina Mudcats. The Salem Red Sox swept a doubleheader against the rival Carolina Mudcats Tuesday night at LewisGale Field. Lynchburg’s four errors and a passed ball cleared the path for Carolina to score four unearned runs and hold on for a 5-4 win. Lynchburg used a five-run eighth inning, highlighted by a go-ahead two-run double by Mark Mathias, to overcome a 5-2 deficit and beat Carolina, 7-6. Lynchburg scored three runs on three hits in the third, but a four-run frame for Carolina in the sixth was the difference. The Salem Red Sox won their seventh-straight game and finished off a perfect road trip, 5-1 over the Carolina Mudcats Wednesday afternoon. The Salem Red Sox ran their winning streak to six games Tuesday night with an exciting extra-innings win over the Carolina Mudcats, 6-5. The Salem Red Sox took advantage of 10 hits and nine walks by the Carolina Mudcats pitching staff to win their fifth-straight game, 6-4. The Salem Red Sox split a doubleheader with the Carolina Mudcats dropping the opener 5-0 in 11 innings, and winning the second game 5-4. The Salem Red Sox suffered their first loss of the season at the hands of the Carolina Mudcats, 5-2. The highly touted Salem Red Sox offense provided plenty of fireworks on Thursday night. Lynchburg tied the game late but saw the game-winning run thrown out at home twice in extra innings as the Hillcats fell to the Mudcats 6-2 in 12 innings on Monday afternoon at City Stadium. Lynchburg pulled away late in a back and forth affair to seal a 5-4 victory over the Carolina Mudcats on Sunday afternoon at City Stadium. Dorssys Paulino went 3-for-4 at the plate and was a home run shy of the cycle. Lynchburg and Carolina traded the lead three times, but the Mudcats pulled away for a 5-3 win over the Hillcats on Sunday afternoon at Five County Stadium. Jayson Aquino carried a no-hitter into the eighth inning and pitched 8 2/3 scoreless innings to pace the Hillcats to a 2-0 shutout win over the Carolina Mudcats on Saturday night at Five County Stadium. Lynchburg rallied from a two-run deficit to complete its third straight comeback win on Friday night against the Carolina Mudcats at Five County Stadium. Yhoxian Medina recorded a season-high three RBIs to power the Hillcats to victory. Lynchburg trailed 2-1 heading into the ninth but cranked out a seven-run frame to steal away an 8-2 win from the Carolina Mudcats on Thursday night at Five County Stadium. With the victory and a Frederick Keys loss, the Hillcats magic number sits at five. Matt Bywater authored seven shutout innings, leading the Carolina Mudcats to an 8-0 shutout win over the Salem Red Sox on Thursday night at Five County Stadium, completing a three-game sweep. Cole Sturgeon drove in a career-high five runs, but the Salem Red Sox stranded 11 runners on the basepaths and lost to the Carolina Mudcats 13-6 on Wednesday night at Five County Stadium.